Australian Brett Lancaster, Olympic gold medallist in the team pursuit, left behind a 14-year professional cycling cycling career and Orica-GreenEdge to join Team Sky as a sports director today. The 36-year-old won the prologue time trial in the 2005 Giro d’Italia and wore the pink jersey, and helped Orica to the fastest team time trial win ever in the 2013 Tour de France at 57.841kph. The younger Orica professionals, like Adam and Simon Yates and Esteban Chaves, looked to him for advice as a mentor. That same leadership and direction will be useful as a sports director in the black and blue colours of Sky. “For many years I’ve wanted to stay involved in cycling once I finished racing professionally,” Lancaster said. “This career move and for them to believe in me, it’s fantastic. It’s moving on and it’s a massive step but I’m looking forward to the challenge. “You have to adapt from being a professional cyclist to being a sports director. There’s a lot to take on board and it’s been pretty intense, but I’m over the moon. Lancaster joins Sky’s 2016 sports director team that includes Nicolas Portal, Servais Knaven, Dario Cioni, Kurt Arvesen and Gabriel Rasch. The five-day Valencia tour, where he will debut, starts February 3 and should include new Sky cyclists Beñat Intxausti and Mikel Landa in the team. At the 2004 Athens Olympics, Lancaster helped Australia to the team pursuit gold medal over Great Britain. The next year with Italian team Ceramiche Panaria, ‘Burt’ won in the Giro. He continued his career with teams Milram, Cervélo, Garmin and Orica. 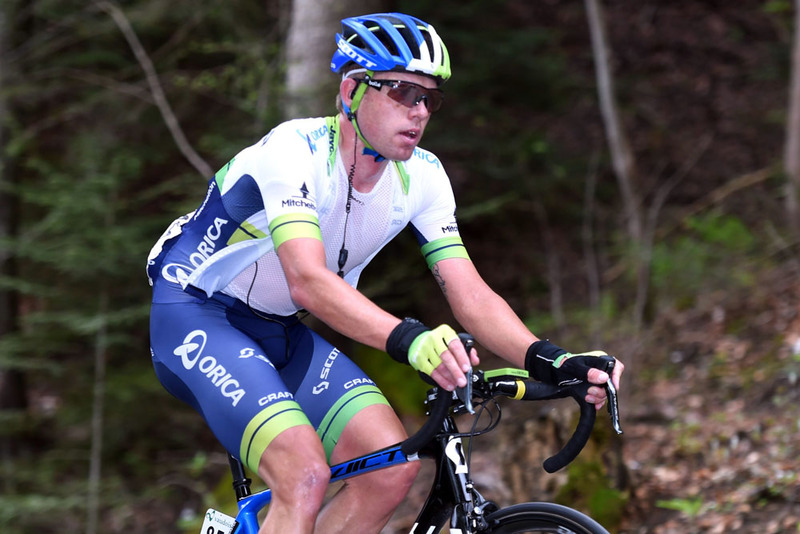 “Brett was one of the first riders selected for the inaugural year of the GreenEdge team in 2012 and his contribution to the team has been appreciated,” General Manager Shayne Bannan.